In this post, guest writer Teri Buczinsky (Prospect High School English Teacher) interviews her student Bridget Meyer to learn about her journey as an aspiring writer and the impact of publishing her work on the social book-writing site. Teri also shares suggestions for teachers to motivate student authors by creating opportunities for them publish their work for a real audience. Teaching writing is a tricky business. No matter how knowledgeable a teacher may be, and no matter how innovative her/his lessons are, unmotivated students don’t grow much. Finding ways to motivate young writers is a constant challenge. When an especially skilled young writer appeared in my creative writing class this year, I wanted to know where she had found her motivation. She told me all about her work on Wattpad, a social book-writing site. Below is my interview with Bridget Meyer (a.k.a. Trash Rodent), a Prospect senior who has already developed thousands of online readers. 1. How did you first find about about Wattpad and get involved? One of my close friends has a thriving Wattpad account, and she was the first one to tell me about the website/app when I was in junior high. I started to get into writing more seriously in freshman year, and that was when I made my own account and started to be more involved with Wattpad. 2. How did you manage to gather an audience of more than a thousand readers? Honestly, I'm not quite sure. 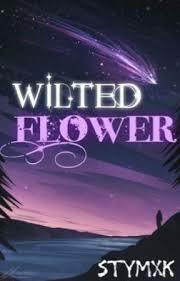 Logically, however, it was probably because I have a lot of chapters/parts up for Wilted Flower. Currently it has about 1.3K reads with seventeen published parts. 3. Has your writing developed or changed as a result of writing for an online audience? Definitely. With the little feedback I got from a mostly anonymous audience on the internet, I gained some more confidence in what I put out. When I first started Wattpad, a kind user commented on my (then awfully written) first few chapters of Wilted Flower. The comment was kind and even encouraged me to update, as the user wanted to read what would happen next. That comment certainly made me want to write more, and so I got out many new chapters. 4. What do readers seem to most enjoy about your online writing? 5. What has been the most valuable part of writing for a real audience? I'm able to get feedback from people who actually want to read my writing in the first place. Most won't click to read my stories, but those who do are curious enough to give it a chance and see where it takes them. Those who comment take an extra step forward, as most people usually don't comment. Receiving a wonderful comment always makes me want to write more, and I certainly think about it for days afterward. 6. Have you had any negative experiences as a result of publishing your work online? I'm assuming this question means negative reader responses, and luckily I haven't experienced anything like that yet (as no matter what you put out there, there's always going to be someone who doesn't like it). 7. What advice would you give to students who want to gather an online audience for their writing? Something that I wish I did but I don't do is have a set updating schedule. Most people don't like waiting long for new content, and if you're able to write fast enough/write enough beforehand, then you could have enough content to update regularly and gain a following fast. Another thing is to be sure you interact with your readers and with other accounts who write similar genres/fandoms to you. Other accounts can see your comments on other stories. You can make friends with the author, etc. It can be a little nerve-wracking, but getting yourself out there will let others find your account more easily. Don't blatantly advertise your work, as that's seen as rude and desperate. Just make friends and have fun, and the audience should soon trickle in. Be sure to find other popular sites to utilize as well, such as fanfiction.net and Archive of Our Own. People also mention writing style a lot, and it's okay if you don't exactly have one yet, or don't know if you even do have much of one. It's all personal preference; one friend of mine hates extra details in writing, and her stories are usually the essential details around lines of dialogue. For me, I tend to weave my character’s thought process within my story’s description itself. It's a small thing, but it took me a while before I got the hang of it, or even realized I was doing it. Don't be afraid to test out different writing styles if you haven't found one way you like to write yet because you might end up fusing two or more writing styles to create something unique to you. Most importantly, patience is key. Having a few writing friends, in reality and on Wattpad, makes the whole writing process a lot easier and more fun, even if you don't end up writing at all. 8. What advice would you give to teachers who want to encourage their students to post their work online? Make sure to let students understand that ‘their best’ might not always make them popular. Original works are probably the hardest to gain a following for, as people aren't invested in your plot/characters from the get-go like they would be with fanfiction. And on Wattpad, many cliché and romanticized stories are most famous, like a One Direction fanfic called After that gained so much popularity that it was published after the names were changed up so it wasn't technically a fanfic anymore. Lots of stories on Wattpad that seem like little to no effort was put into them will probably have tons of popularity, and that's okay. Most people on Wattpad are preteen or younger teenage girls, and that demographic tends to go toward the cliché and more meme-like stories. One of my closest friend wrote a Wattpad story that gained a huge following (about 435K and counting), and she'd written it when she'd first started Wattpad at age twelve. Now, about four years later, she recognizes its flaws and hopes to rewrite it someday. Every writer can grow to be better, no matter how badly they begin. Writing teachers who would like to find opportunities for encouraging students to engage with an online audience have an almost overwhelming number of choices. Rather than trying to master everything available, a good first step is let the students lead the way. A surprising number may have already begun developing a following on Medium, Tumblr, Archive of Our Own, or Wordpress. As a second step, writing teachers can take the plunge themselves, posting their own work online and beginning to learn about what it takes to develop an audience. Or perhaps students would prefer to submit their work the old-fashioned way, sending their poetry, stories, and and narrative essays to established magazines and journals, many of which also host contests for young writers. The site, newpages.com offers advice, opportunities, and a peek into the most exciting journals published today. It’s a great place for young writers to begin discovering their audience.